The D/Focus Systems Adapter Ring - 72mm to 82mm allows you to attach the D/Matte Matte Box to any lens with a 72mm filter diameter. The 72mm side snaps onto the lens, and the 82mm side is threaded and screws onto the matte box. The matte box actually has an 86mm opening but it comes with an 86mm to 82mm adapter ring. 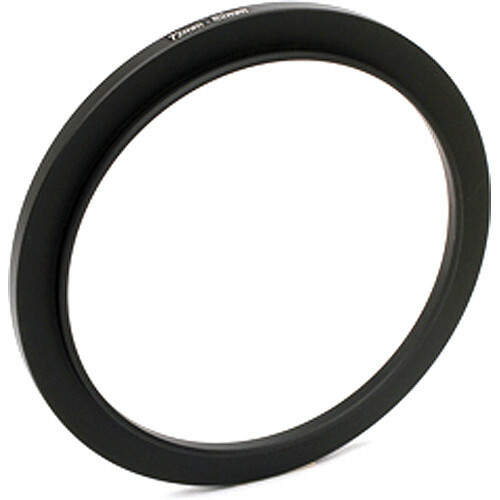 Box Dimensions (LxWxH) 3.6 x 3.4 x 0.3"
Adapter Ring - 72mm to 82mm is rated 5.0 out of 5 by 1. Hi, using this adapter, can i atach a 82mm ND Filter on my 72mm lenses?